Harmsco Filtration Products Commercial Filters & Housings | Applied Membranes Inc.
Harmsco Filtration Products, manufacturer of liquid filtration solutions, specializes in pre-filtration housings and filters for commercial Reverse Osmosis systems. Harmsco Filtration Products offers both up-flow SS multi-cartridge filter housings for multipole standard 2.5" diameter filter cartridges, as well as "Hurricane" housings for single "jumbo" high-volume 7" diameter Hurricane filter cartridges. 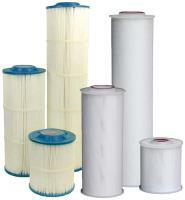 AMI carries a wide range of filter cartridges for both configurations, with many models in stock for immediate shipment. Multi-Cartridge SS Filter Housings: Housing up to 200 filter cartridges and with flow rates up to 800 GPM, Harmsco HIF SS filter housings are ideal for use in high-flow applications. Harmsco Band-Clamp Closure Filters house up to 6 triple filters with flow rates up to 54 GPM. The adjustable top plates allow both Harmsco & Industry Standard length filter cartridges. Highly Efficient Filter Cartridges made of pleated Polyester-Plus™ filter media, FDA approved materials; NSF 61 certified. 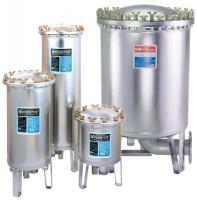 For Harmsco Multi-Cartridge Filter Housings. WaterBetter Filter cartridges are the economical choice for applications requiring less flow than the Premium Polyester Series. Harmsco Poly-Pleat Absolute rated one micron filter cartridges remove cyst-sized particles for safe, cyst-free drinking water. Pleated Polypropylene Cartridges hold 6.5 square feet of High Purity - PP are designed for use in most applications where absolute rated filtration is needed. Pleated polyester filter cartridges with Silver Zeolite Fibers to reduce odor-causing bacteria and inhibit growth of mold and mildew on the filter. 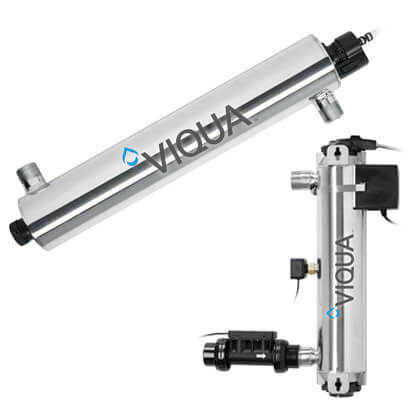 Combination centrifugal separator and up-flow filter in a single cartridge design for high-volume performance, easy installation, removal and service. Harmsco WaterBetter Filters use a single high capacity Hurricane filter cartridge to deliver high flow, extended filter life, and ease of operation. 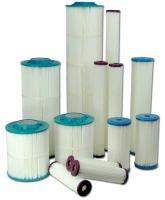 Harmsco Hurricane Filter Cartridges for use in Harmsco Single-Cartridge SS Hurricane and WaterBetter Filter Housings.